Every truck stop, gas station, or convenience store should always be able to display gas prices that catch the eye of a passing Motorist or Trucker. Well thats where Green LED can help you need a Green LED's gas price changer. Our bright, vivid gas price display signs are available in virtually any size to fit you needs including various number sized in green or red. Also we provide you with a remote to change the sign from 300 feet away. Display Format 8.88, 8.888, 8.889, 8.88 9/10 etc. ​Control System: Gas price control system making price changes quick and easy. Outdoor or Semi- outdoor brightness available. 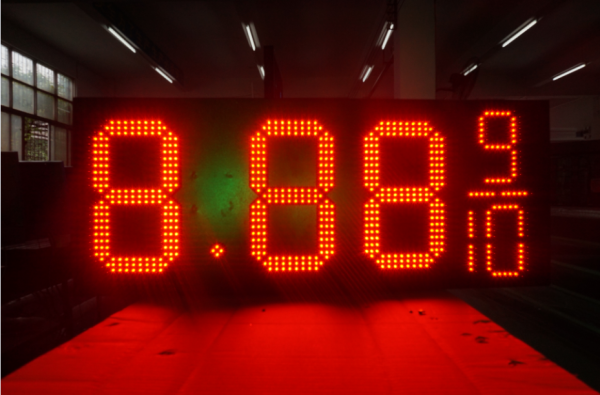 Display format: 8.88, 8.888, 8.88 9/10 etc. Status LEDs placed on the driver for easier troubleshooting. Gives customers the flexibility of advertising many fuel prices. 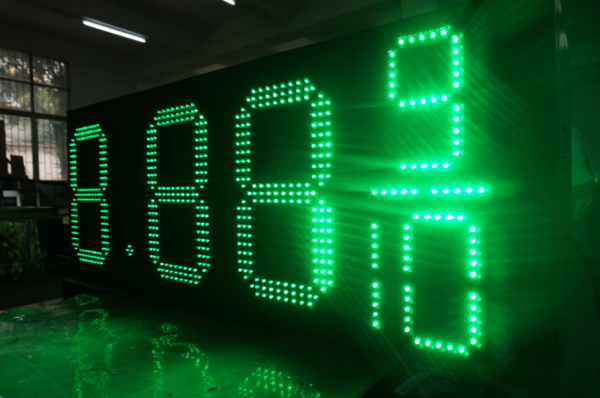 High intensity LEDs allow for us to manufacture a more efficient display. Up to 255 pieces can be networked, and two kinds of remote control methods with twelve-button operation. Power supply with CE/UL approbal available.